Log in to the Renewal Test now! e-Learning trainings are a convenient way for all child care providers in New York State to meet their required training hours at no cost. Sign up or log back into your e-Learning courses. Funding is available to help child care providers obtain professional development and education, to help facilities offset the cost of MAT training. Webcast training allows you to learn from experts and other child care providers while networking and sharing your experience with other professionals. Sign up for webcast training now! 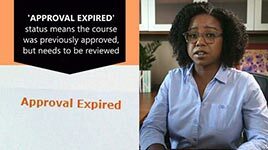 This video describes how to use the OCFS Reviewed Distance Learning Courses page, clarifies what courses count for training credit and which ones do not, and tells how to determine when a distance learning course can be used by providers to help them fulfill their required training hours. 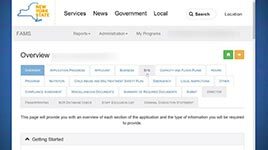 The New York State Office of Children and Family Services, Bureau of Training offers FREE 24/7 online Mandated Reporter Training in Child Abuse and Neglect/Maltreatment Identification. Go to our for providers page for more resources! What is the Facility Application and Management System (FAMS)? Will it affect my child care program? This video provides an introduction to FAMS – why to use it, how to use it, and all of the exciting features the system has to offer. 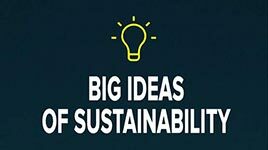 The concept of sustainability has many layers; it's helpful to break it down into small chunks or big ideas. From "6-07-18 Educating for Sustainability". 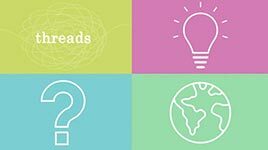 This video explains how you can use common themes or essential questions to help enhance your existing curriculum and incorporate opportunities for sustainability education. From "6-07-18 Educating for Sustainability". 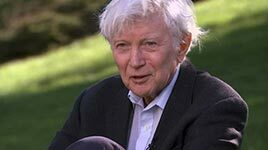 Dr. Peter Gray, author of "Free to Learn," defines play and discusses why unleashing the instinct of play makes children happier, more self-reliant, and better students for life. From "6-07-18 Educating for Sustainability". 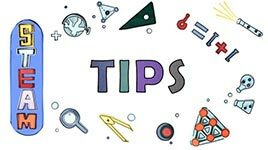 This video highlights tips for incorporating science, technology, engineering, art and math into your existing programming. From "6-07-18 Educating for Sustainability". Please visit our video library for more videos. Stay connected to ECETP to get the latest news and updates.